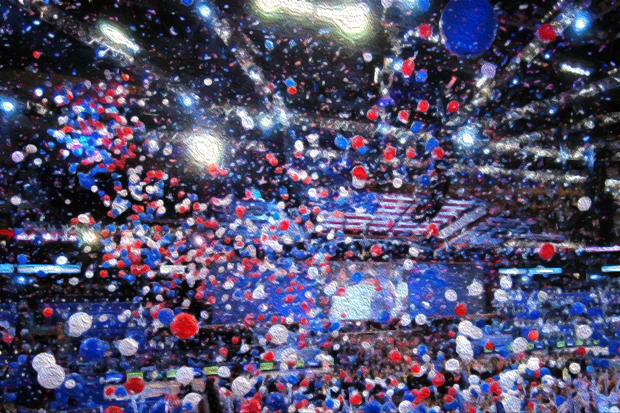 In our current election cycle, we hear the customary calls for “change,” “moving forward,” and getting away from the debilitating “status quo.” Speech after speech is laced with calls for social and political revolution as candidates of both major political parties, as well as a few political outliers, vie for the presidency. Yes, change is necessary, but as we observe, everyone believes in change but no one wants to change what they believe. Regardless of political affiliation, those seeking the highest political office view government as inimical to effecting change in the manner they consider most beneficial to the common good. Limiting government overreach is a concern of traditional conservatism while expanding the role of government is the aim of the present iteration of liberalism. This is an important debate, however. Whatever side of the political spectrum one chooses to identify with, protecting our civil liberties remains a significant issue. The advocacy to utilize government censure as a way to achieve social justice is fundamentally at odds with our Constitution, not to mention Divine Principle. Regardless of what one may think about women’s, voters’ and minority rights, etc., we intuit that when freedom is diminished or oppressed, regardless of intention, our portions of responsibility cannot be exercised in a principled fashion and love becomes a casualty. Yet the impulse to coerce via governmental authority has become part and parcel of liberal, progressive orthodoxy when it comes to social matters. As Charles Krauthammer reminds us, John Stuart Mill — one of the first liberals of the 19th century — argued in his essays, On Liberty, that “truth emerges from an unfettered competition of ideas,” and we improve our individual character when we are allowed to develop our ideas in a free and open society without coercion. Free speech zones, prohibitions on religious belief, ruling by judicial fiat — Mill would consider these to be an affront to a truly liberal society and a shift toward a dystopian culture. Today’s postmodern iteration of liberalism is a far cry from that of Mill, or even that of senators Henry M. “Scoop” Jackson and Daniel Patrick Moynihan, or House Speaker Tip O’Neill. The desire for social justice is a noble endeavor and our politicians certainly need to be advocates of such. However, in the context of the various social groups that we belong to (families, churches, civic organizations, etc.) we exact various measures of social justice according to the rules and relationships we cultivate in those groups, more often than not without government interference. The government cannot love you and as F. A. Hayek, William F. Buckley, Jr., and Thomas Sowell persuasively argued, there is too much diversity of circumstances in a given group or community to administer across-the-board remedies by any government agency without infringing on individual liberties. The 19th century Italian priest, Father Luigi Taparelli, coined the term “social justice.” He said it was important to make the distinction between legal justice as implemented by the state, and social justice — remedying relational conflicts without state intrusion. We should also remember that the father of modern liberalism, Herbert Croly (co-founder of The New Republic), was highly skeptical of using legislation to implement social welfare or social engineering as a means to cure social problems. In our current political climate, compassion is viewed as an important attribute, yet without reason and a godly moral imperative in the equation, compassion can be misguided and lead to deleterious results, especially with regard to maintaining constitutional integrity and the misuse of governmental power. In a recent column for the New York Times, Frank Bruni cites Mitchell Gold, a prominent homosexual philanthropist and founder of the advocacy group, Faith in America, which seeks to mitigate the damages done to the LGBT community by “religion-based bigotry.” Gold asserts that church leaders must be made “to take homosexuality off the sin list,” presumably via government coercion and litigation. This is an anti-pluralistic and authoritarian modality. For Gold, the “ossified” strictures of scripture are no longer credible — invidious, in fact. But are they? In Judeo-Christian cultures there exists a prevalent attitude that we are co-creators with God in the process of creating a civilized and humane society. We accomplish this by making choices in the context of the teachings of scripture that acts as the proverbial “moral compass” in guiding us in the process of becoming moral and ethical people. As I Corinthians 6:12 reminds us, though everything is permissible, not everything is beneficial. Our choices have consequences. Baruch Spinoza averred, “In the nature of things nothing contingent is admitted, but all things are determined by the necessity of divine nature to exist and act in a certain way.” Spinoza made the case that all things are the embodiment of the “divine nature” which religious people often attribute to the nature of the Creator, God. Ontologically speaking, the “nature of Nature” is neither random nor accidental (contingent) but rather lawful, relational and orderly, and as believers accept, in accordance with the attributes of the deity. In Romans 1:20, Paul refers to this when he says the invisible nature of God can be perceived in that which the Creator has created. These attributes are considered “godly” and causal in that they represent God, the causal being. In his monumental Ninth Symphony, Ludwig van Beethoven set the text of Friedrich Schiller’s poem, Ode to Joy, to music — a work of art that has become emblematic of the ideal of peace, harmony and “universal brotherhood.” In the ode, Schiller and Beethoven allude to God as the “Father” with whom we mortals make our covenant in our pursuit of eternal joy. Beethoven’s Symphony No. 9, Movement 4, conducted by Daniel Barenboim and performed by the National Youth Choir of Great Britain and the West-Eastern Divan Orchestra (comprised of young professionals from Israel, Egypt, Jordan, Lebanon, and Syria), Royal Albert Hall, London, July 27, 2012. The premise that music can affect one’s consciousness and potentially influence one’s behavior in virtuous ways is coterminous with Unification Thought’s Theory of Art. As Augustine averred, “what we choose to love” has everything to do with our identity and how we cultivate our values as “individual truth bodies.” Alluding to music’s effects on the condition of the state of one’s soul (Seelenzustand), Beethoven said: “Music is the one incorporeal entrance into the higher world of knowledge,” and “the mediator between the spiritual and sensual life.” This echoes the concept of musica humana (the harmonization of the spirit and body) that the Greeks, Augustine, Aquinas, Boethius, and Schopenhauer found to be efficacious in their explications of the metaphysical aspects of music and its effects on the human psyche. But mind-body unity was just the starting point — the First Blessing as described in Genesis and Divine Principle. Beyond the individual (literally, an undivided duality), this unity needed to be achieved on the level of families, clans, societies, nations, and ultimately both the corporeal and incorporeal worlds. Only then could the vision that Schiller and Beethoven imagined be fully realized. Divine Principle stipulates that salvation on the individual level is a New Testament narrative, whereas in the Completed Testament Age, salvation extends to the whole of the cosmos. Now that’s revolutionary! Reverend Sun Myung Moon often stated that without parents the dream of a universal brotherhood would be left unrealized. Without families united in love there could be no culture of peace to speak of. In light of this, it has become readily apparent that without a parental heart in our social and political equation, democracy has severe limitations. We may consider pluralism to be good and necessary but without a loving mediator in the parental position we are too often left with the kind of political and social rancor (“a carnival of invective” as described by Roger Hodge) that makes arriving at efficacious solutions impossible. Our choices must be predicated on virtue rather than political expedience if we are to remedy this kind of obdurate discourse. The calls for “revolution” will always be with us, but often, as Krauthammer suggests, the revolutionary exhortations are “without reference to any other human value.” Some of the worst atrocities in human history resulted from well-intentioned but wrong-headed and wrong-hearted “revolutions.” Without referencing God and godly virtues — especially true love born of a parental heart — we cannot achieve the culture of peace and universal brother/sisterhood nostrum that Beethoven and Schiller imagined. 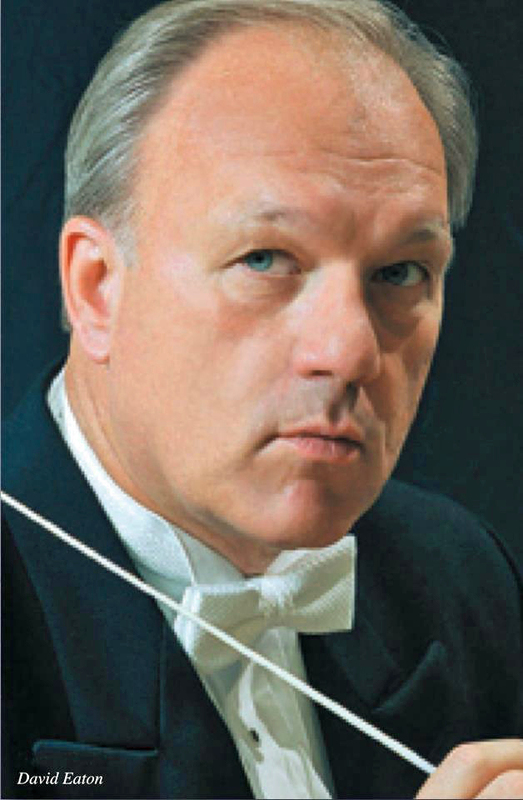 David Eaton has been Music Director of the New York City Symphony since 1985. In addition to his conducting career, he has been an active composer, arranger and producer with 55 original compositions and over 700 arrangements and transcriptions to his credit. His most recent orchestral composition, “70 and Counting!”, was performed at the United Nations as part of its 70th Anniversary concert in June 2015. In May, he was awarded an honorary doctorate by UTS. This is not to suggest that government, per se, is not needed, or cannot be beneficial in ameliorating certain problems, but it’s important to make distinctions with regard to “how” government is used to do that. Censure and coercion are fundamentally anathema to what the Founding Fathers had in mind. Too many people are expecting government to be able to provide “care.” But governments are impersonal and based on force of law. By nature they cannot care; they can only redistribute, ration, and punish. Only other human beings can care, and caring is taught by family and culture. But the central issue remains freedom. It is the talent, genius, enterprise, creativity, focused energy, and the work ethic of individuals that accounts for real progress and result. Protecting individual freedom allows for these human attributes to be fully realized in loving, caring and compassionate ways. Who or what is involved with “protecting individual freedom” if not the government? Without the protections offered by good government, we would be at the mercy of the most evil, greedy and ruthless people among us. Gordon, we can establish a government composed of “caring human beings” using the same principles by which we try to compose families and communities of families composed of caring human beings. True Father envisioned a global organization/government that would “run the global economy by maintaining, expanding, and developing all the markets around the world”! [CBG pp.1081 ff] It’s up to us to cultivate those “people of vision” Father spoke about who can apply Principle and manage such a principled global governing organization. We want to create CIG nations in this world, right? So rather than fall into the trap of disparaging governments in general, let’s catch Father’s heavenly vision of what good governance is meant to accomplish in the not-so-distant future. In revisiting this essay, I want to amend a statement I made in a paragraph. Herbert Croly and his associate, Richard Ely, were in favor of government providing for social welfare stating that Christian Socialism could be the great equalizer in pursuit of a just society. Government surely plays (or should play) a role in protecting civil liberties. But there is a risk if government isn’t curbed by checks and balances. The American Constitution seeks to limit government and protect the rights of individuals. That’s a reason why the Constitution stops at individual liberty and doesn’t venture into group rights. “What is head-wing thought? It is to guide us to Godism. Why do we seek Godism? We do so to start anew with the ideology of peace. Godism means that we meet God and become one with Him in love. We then start anew through the peace-centered way of thinking. That is how the basis for the establishment of the kingdom of heaven on earth, as it was meant to be, will emerge. Those who live their entire lives in that kingdom will certainly enter the eternal world without any formalities. “The age we are entering will present the ultimate value system, the absolute values of Godism. Until today, prominent voices have been clamoring based on humanistic thinking, but now we are transitioning from a human-centered to a God-centered focus. God is an absolute being. An absolute being has absolute thinking. No one has understood this. We have numerous religions with their cultural backgrounds, but they did not know Godism.